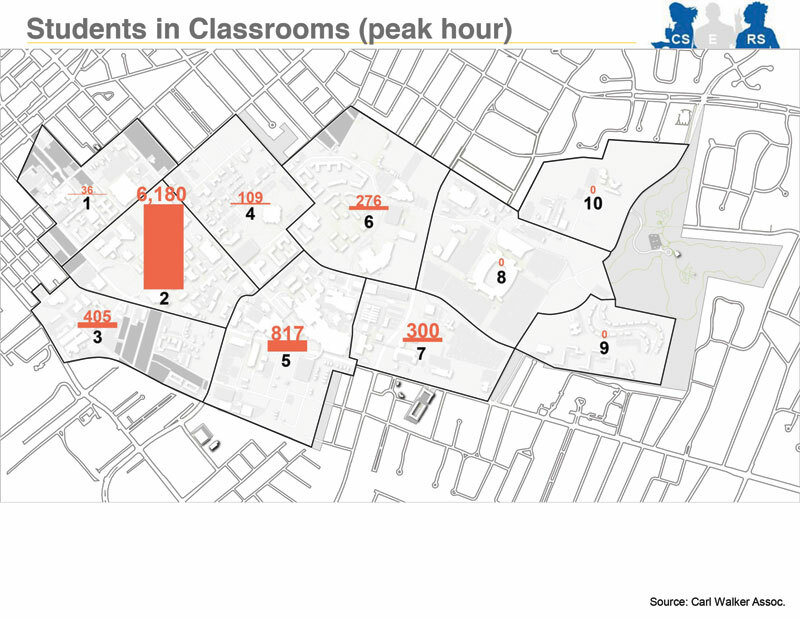 So, just how ridiculous has parking become around UK campus? The answer to this question is easily found by taking a moment to browse the UK Transportation Services web site (https://www.uky.edu/transportation). 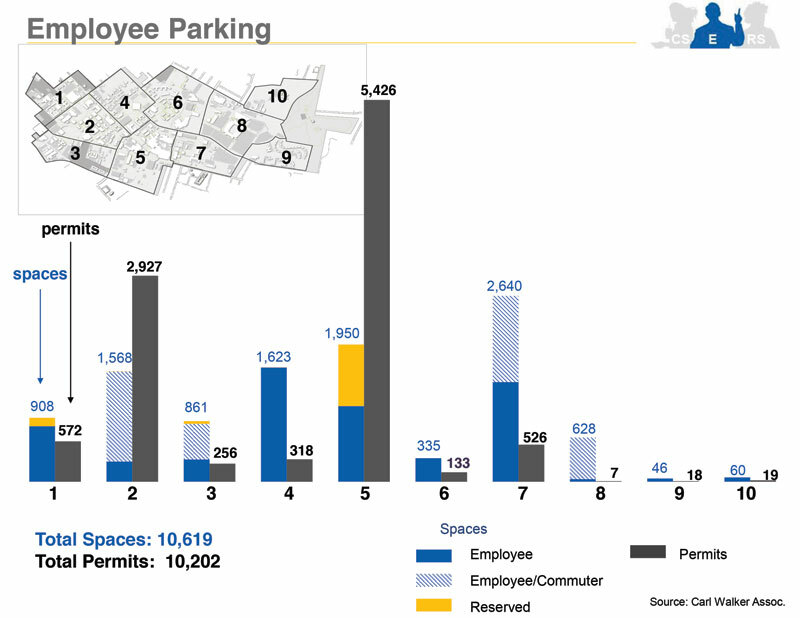 There is a dizzying array of permits for UK students (residential permits, commuter permits, periphery permits, remote permits, off-peak permits) and UK employees (reserved parking, core parking, intermediate parking, periphery parking). There are carpool permits, construction permits, vendor permits, etc. Permits, permits, permits. None of them are cheap and most come with various restrictions and eligibility requirements. 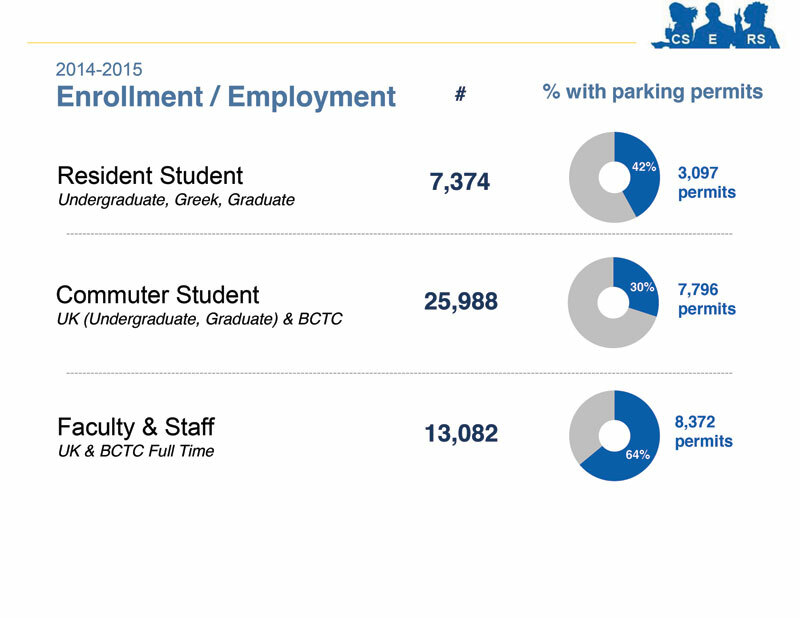 Parking around UK campus is simply an issue of supply and demand. 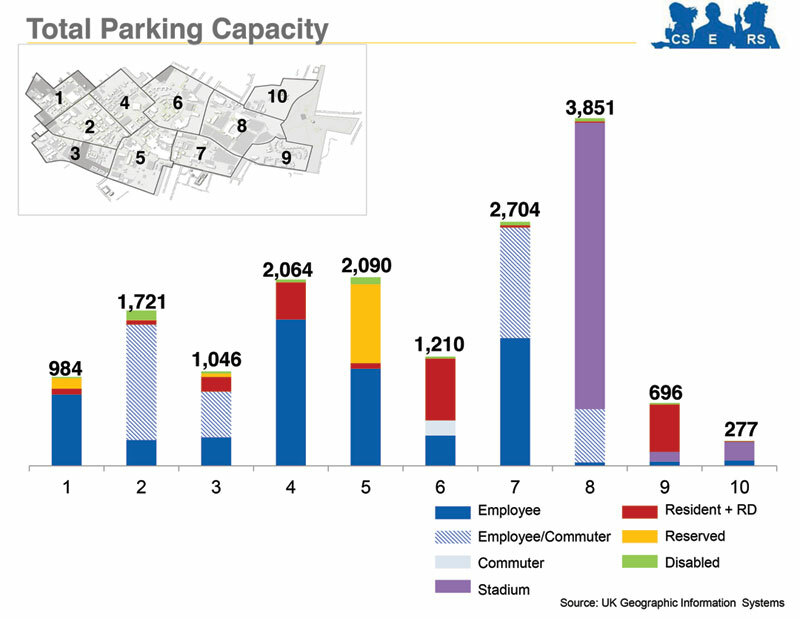 The UK Transportation Master Plan published in 2015 detailed an ever-widening gap between the demand for parking and the supply of parking around campus (see Figure 01). 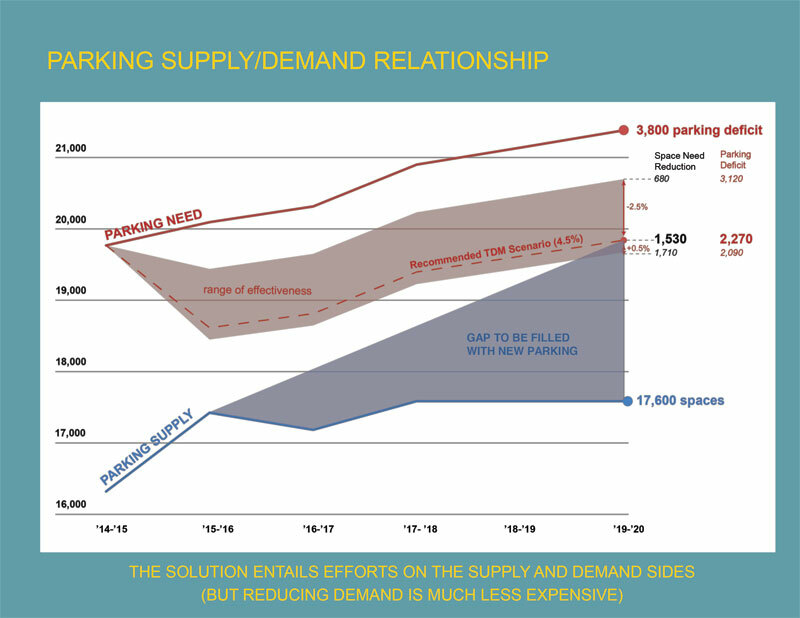 Note the University’s comment below the chart: “The solution entails efforts on the supply and demand sides (but reducing demand is much less expensive) .“ One can read between the lines and see that UK would much rather take actions to discourage you and your vehicle from driving & parking on campus than spending money to accommodate you and your vehicle. The disparity between supply and demand as documented by the UK Transportation Master Plan is absolutely stunning (see Figure 02). 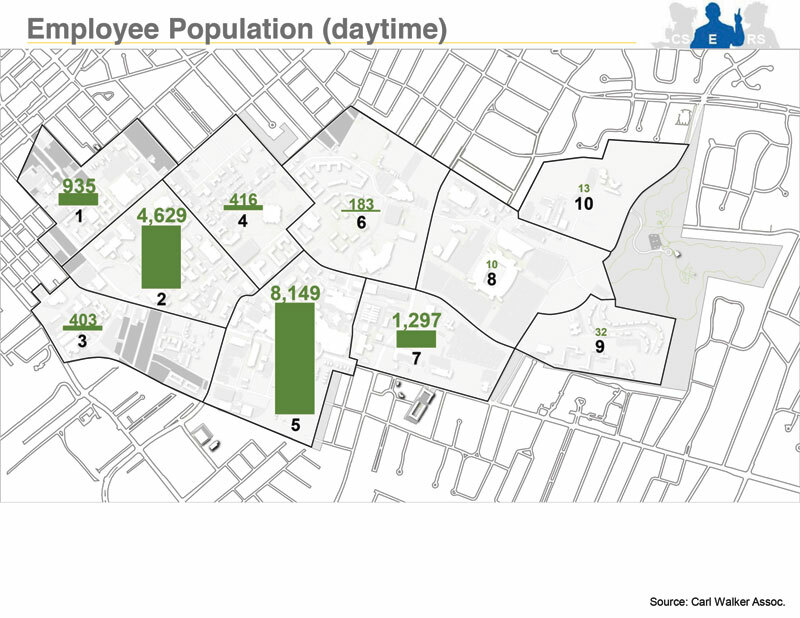 Parking has grown so bad around UK campus that Transportation Services launched a “Cash Out” program that gives up to 200 employees $200 / year (some incentive, huh?) to not drive their vehicles to campus. Participants must sign a car-free commitment that will prohibit them from purchasing a vehicle-parking permit for one year. Participants may still purchase a limited number of scratch-off permits for occasions when they must bring a motor vehicle to campus. Cash outs are awarded with the goal of removing motor vehicles from campus. With such woefully inadequate parking available around campus, is it any wonder that UK does NOT want you and your vehicle on its turf? The bottom line is this—when it comes to parking around UK, you are going either have to shell out BIG dollars for a spot somewhat close to where you need to be or you are going to be stuck parking in the K-lot a long, LONG way from where you want to be and then waiting, hoping, and praying for an on-time bus. Maybe UK should sell the naming rights of this lot to Kroger and reap more of those corporate dollars? The Kroger lot—has a nice “cha-ching” $$$ ring to it, huh?